Hello, Graphics Fairy peeps! 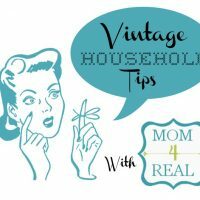 I’m Jessica from Mom 4 Real, and I’m back again to share another fun vintage cleaning tip! 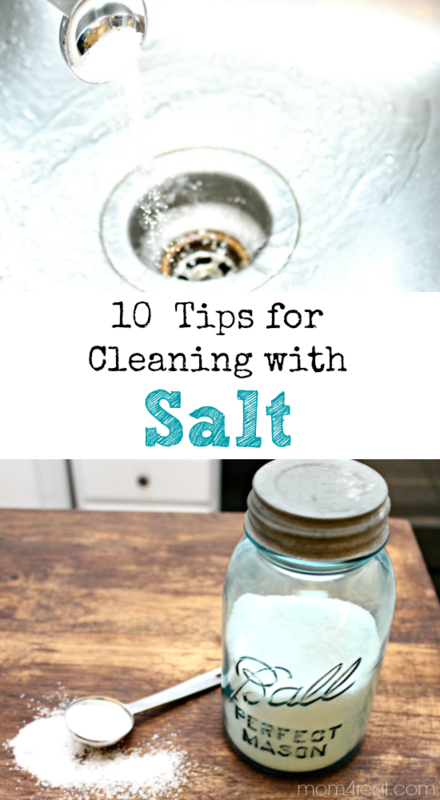 Last month I shared How To Clean Your Oven Naturally, and today I’m back to share 10 Tips for Cleaning With Salt! I am really making an effort to get back to cleaning the way our parents and grandparents used to clean. See, when they were growing up, you didn’t buy antibacterial wipes and there was no such thing as a magic eraser. They cleaned with common household items, like salt. Today’s cleansers are full of chemicals and things I can’t even pretend to pronounce…it’s a little disturbing if you ask me. So, in an attempt to keep as many chemicals out of our home and away from my children, I’m going back to the basics when it comes to cleaning. Who knew there were so many things you could clean with salt? 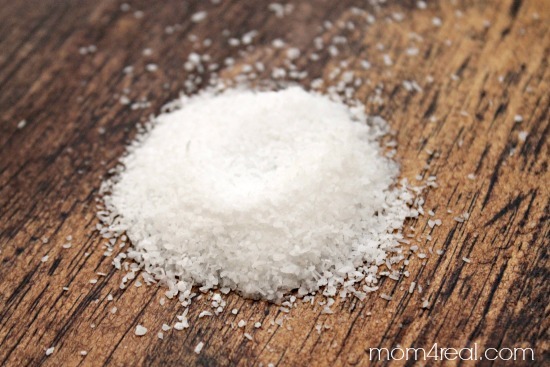 Well, I tried some of them out, and they worked…here are 10 tips for cleaning with salt! 1. 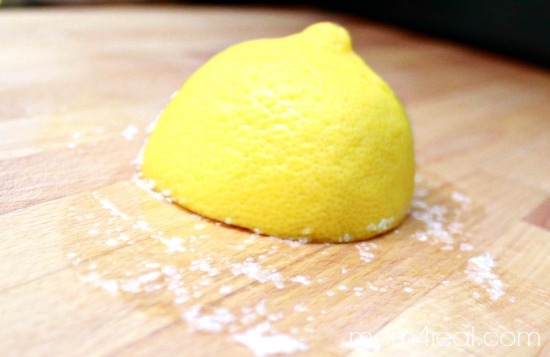 Use a lemon and salt to clean stains and marks off of your cutting boards and butcher blocks. 2. Remove perspiration stains from your clothes by adding 4 tablespoons of salt to one quart of hot water. Soak fabric until stains fade. 3. 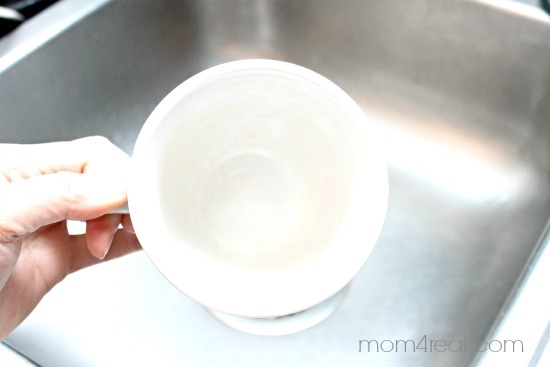 Gently scrub the inside of your tea or coffee stained mugs with salt and a damp cloth to remove stains. 4. Clean your glass coffee pot with salt and hot water. Add a few tablespoons of salt to your coffee pot, then run one cycle with water only and allow to soak for an hour. Rinse and dry. 5. Use a 1/2 lemon dipped in salt to scour rust stains off of a porcelain sink. 6. 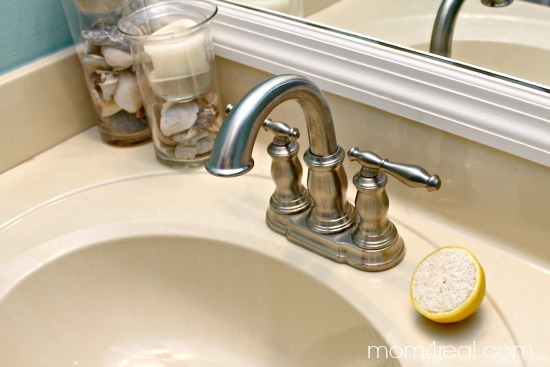 Use a 1/2 lemon dipped in salt to scrub away lime buildup around your faucets. 7. 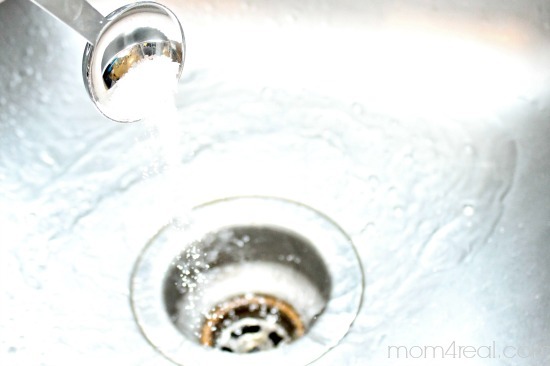 Clean your drains and grease build up in them by pouring salt down the drain and running hot water for 2 minutes. 8. Use salt and a 1/2 lemon to scrub copper pots and remove buildup and discoloration. 9. Pour salt on any liquid spill to absorb it quickly. 10. Clean buildup and gunk off of your iron by sprinkling salt on a piece of parchment paper and running a hot iron over it. It will release any buildup. Cool iron and wipe with a damp cloth. I think it is truly amazing that you can clean so many things with salt, and can’t wait to find more ways to use it! Looking for more cleaning tips and tricks? 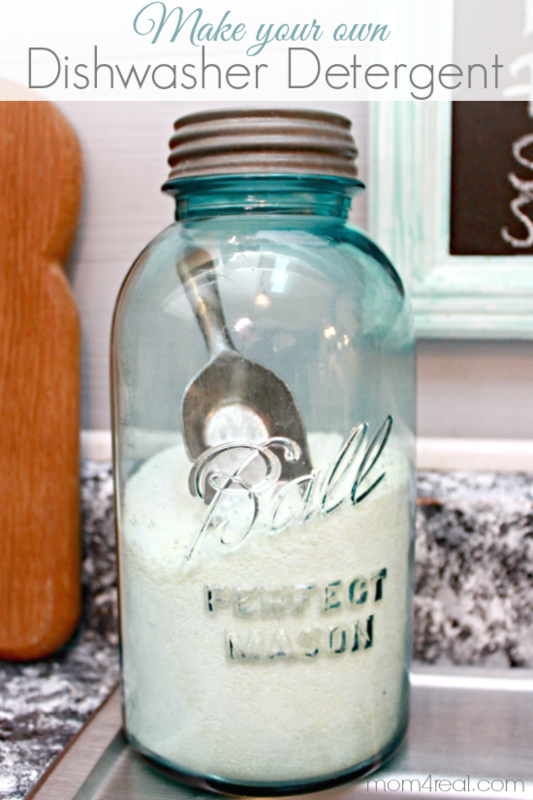 I am sharing my Homemade Dishwasher Detergent Recipe on my blog today! You can also find my Eight Tips For Cleaning Your Kitchen from Top To Bottom, including cleaning in between the glass on your oven doors —> HERE! Thanks so much for having me! 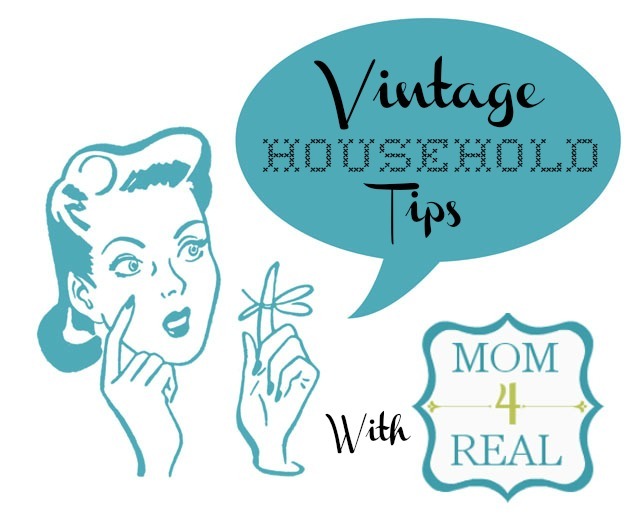 I’ll be back next month to share more fun vintage household tips. If you have any tips that you would like to suggest or see, let me know in the comments below! 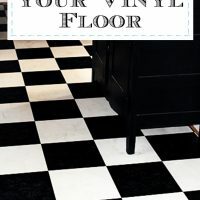 10 Tips For Cleaning With Baking Soda – Vintage Household Tip How To Clean Your Oven Naturally – Vintage Cleaning Tip My Secret Tip- How to Clean Vinyl Floors – Easily! 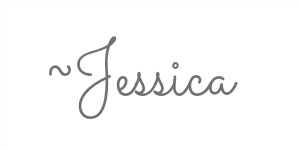 Great tips, Jessica! I always check your actual blog. There are great cleaning tips for real people, as opposed to those who have mega-bucks to spend on cleaning equipment. Thanks! Thank you, Cynthia…you made my day! Gotta save that money! Awesome share! Thanks for sharing Karen..
You can make the copper bottoms on pots and pans shine like new by using salt and vinegar! No hard scrubbing…just be sure to use a rag because the “stuff” that comes off nay stsin the cloth you use. As a child I couldn’t wait till the pans started to look dark just so I could shine them up! Okay…I still can’t wait for when it is time to shine them up today. ..lol! Thank you for the great tips. Here’s one for you, mix a solution of lemon and white vinegar. It removes grease and limescale, I make up solution and put in spray bottle. Squirt some on a damp cloth and wipe work tops, no need to rinse off. Spray into greasy pans, add hot water, leave, rinse, then wash up. Spray onto damp cloth/ kitchen towel, mold round limescale on taps, wrap area with clingfilm to avoid drying out, leave over night, then rinse (be careful of plated taps). you can also scrub the bottom of a hot cast iron skillet or griddle with oil and a good amount of salt. Carefully brush the excess salt & oil from the pan with a dry paper towel. If you do this just before you fry pancakes or anything, your pan will be virtually non-stick. Almost like Teflon pans. I do it over a low flame, then let the pan cool some before handling. The heat seems to do something to the salt & oil combo. It’s really pretty amazing. Use a potato and salt to clean rust from cast iron. I clean my home with salt too, and the results are amazing. I try not to use chemical cleaning products. 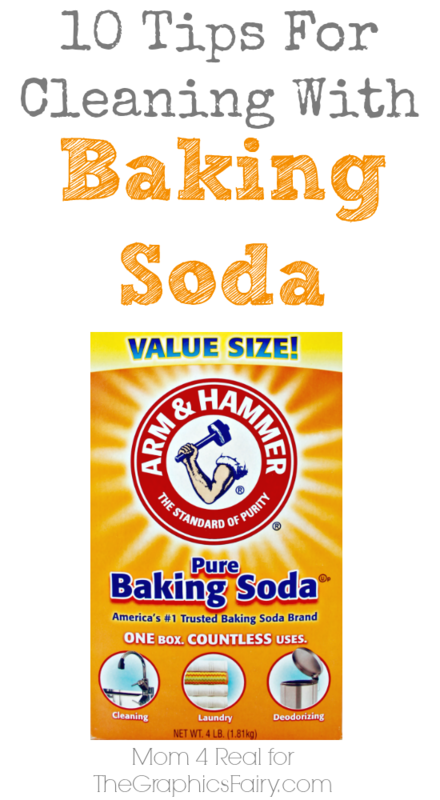 Sometimes I use baking soda and vinegar.